Fish Regulation Management Platform - by Fish Rules, LLC. Tired of out-of-date printed regulations in tackle shops? The powerful and reliable way to manage fishing regulations. 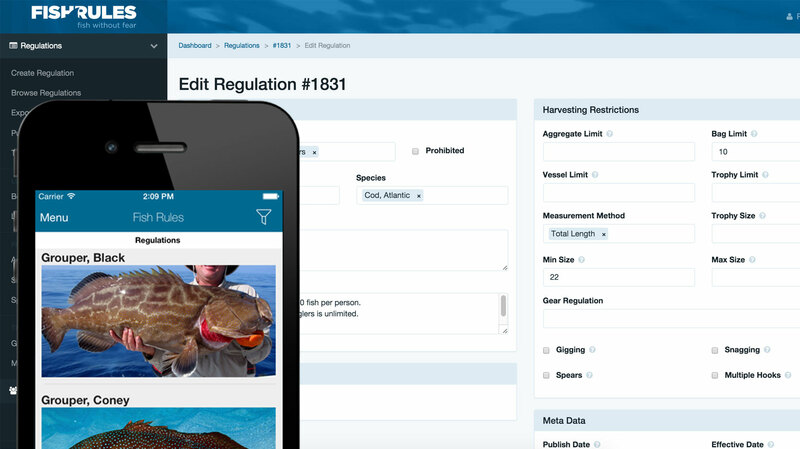 FishRules offers a powerful, scalable platform to manage fishing regulations. Regulations stay consistent and up-to-date across any digital property, when built on top of FishRules. Regulations get pushed to anglers' mobile devices and browsers in real time, ensuring they stay legal and informed in the areas they fish. Stop hard coding fishing regulations! No more manual management of regulations across websites, apps, and other digital media. Get your regs on FishRules!